I have watched for years the calls from the radical Islamic element, actors like Iran, most of the Arab world until recently, groups like Hamas, Hezbollah, Fatah, Islamic Jihad and others, their open calls not just for the destruction of Israel, but the death of every Jew in the world. The press is silent on this, one has to wonder, why? Used to be we did not make excuses for this sort of thing, in WW2 we correctly identified the horror the Germans did, we exposed it to the world, but even then we hid the fact that involved and supported them were elements of the Islamic people. They supported this idea of Fascist extermination, the Grand Mufti of Jerusalem, who many consider the father of modern-day Palestinians openly admitted to knowing of the concentration camps, even wrote the leaders of Free France, the US, and Britain and asked them to send their Jews to Poland after he had viewed these death camps. 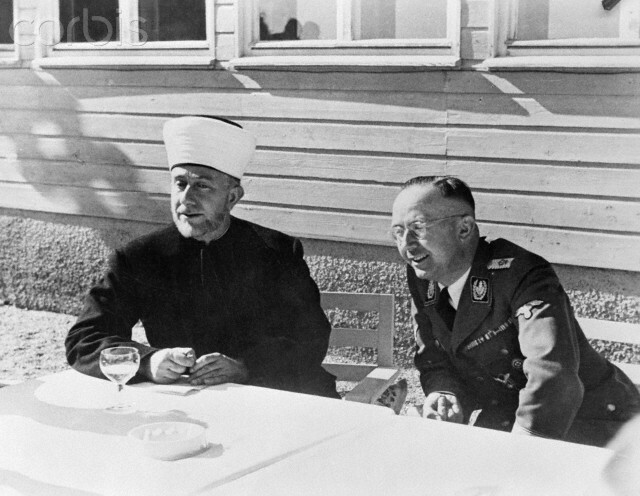 There is talk that the Grand Mufti was at the meeting where the final solution was planned, this was explained in testimony in the Nuremberg trials by Himmler’s driver, he wrote of in his diary, that was later published, of his plans to bring an extermination camp to what today is Israel to get rid of the Jews there. “26 years ago the Jews received the Balfour Declaration so they could build a national Jewish homeland. The British betrayed the Arabs and Islam by supporting the Jews. Jews are selfish. 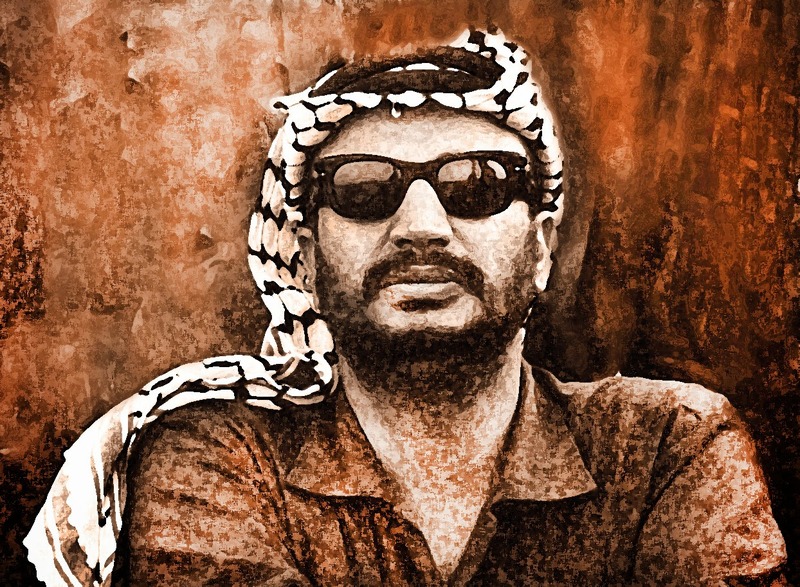 Arafat trained under him, and the “Palestinians” continue the terror he started to this day. But we are getting away from the media, their obvious bias when dealing with this conflict. If we look at the latest events, the riots in Gaza, they refuse to report on the fact that it is Hamas that is instigating these riots, during the riots they openly admit that the majority of the people killed were Hamas operatives that were mingled in with the crowds, urging them to rush the fence, knowing what the reply will be if they tried. They added to this by coming out the night before this started, told Israel and the world, we will rip down your fence, they will rip the heart out of every Jew we find, Israel heard this very well, they were not going to allow them to come through. Naturally, this is never shown by the press, it stands in their way of portraying the people of Gaza as victims, something I disagree with, they had a chance to rid themselves of Hamas, they voted with overwhelming numbers to keep them in power, now act like they are surprised when Israel acts to prevent them from coming into their nation. Hamas even used loudspeakers during the attacks to provoke demonstrators to push forward through the fence and even lied about Israeli soldiers fleeing to urge demonstrators to continue their charging attacks on the fence. After the siege, Hamas used the tragic deaths of children along the border as a propaganda tool to further its anti-Semitic cause. The bottom line is Hamas does not want Israel to exist. That is Hamas terrorists’ primary goal, and every action they take should be evaluated with that in mind. Unfortunately, the press takes the bait every time, with headlines after the Hamas attack such as “Hamas has launched another war. Israel needs a better response” in The Washington Post, “Uneasy Calm Falls Over Gaza After Israel Kills Scores at Protests” in The New York Times, and “Israel defends Gaza crackdown as Palestinians bury their dead” from CNN. In these titles is the implicit opinion that Israel is guilty, and Hamas is innocent — the exact propaganda and fake news that promotes Hamas‘ murderous agenda. Two days after the siege on Israel’s border, Hamas acknowledged that 50 of the 60 people killed during the protests were members of the terrorist organization. Salah Bardawil, a senior Hamas official, told Palestinian news outlet Baladna TV that 50 out of the 60 who died on Monday were members of his organization, while the rest were civilians. Hamas won elections in 2006 and has run Gaza since the end of a violent power struggle the following year. None of this is reported in the news; it is ignored because it does not fit into their narrative. What is worse, you hear that the land is occupied, to occupy something means you have to have had taken possession away from, yet in all the years of asking, no one for some mysterious reason can show a shred of proof when there was a nation called Palestine, even the “Palestinians” can’t, the reason is simple there never was. What happened was in 1948 the Jordanians invaded Israel into what then was known as Judea and Samaria, they by forced kicked out every woman and child in the land, held the men civilians as hostages, then proceeded to move in hundreds of thousands of Arabs into the land to consolidate their hold, in 1950 they illegally annexed the land, this is who Israel evicted, not the so-called “Palestinians”. Here is another wrinkle, the UN’s hand in this, until three years ago, you used to be able to access this 1964 charter from the UN, when they found people were pointing this article out the UN shut down any access to this, they did not find this was convenient to their narrative. So the question has to be asked, if you had no claim to the land in 1964, what then happened between then and 1968 that caused you to suddenly as if by magic to find this claim you were missing? Turns out the 67 war when Israel routed the Arab armies and expelled them from both Judea and Samaria and Gaza, then as if by magic the Palestinians claim they found a historical claim to the land. One slight problem with this, they can’t show it, we are told we have to accept this claim by faith, or somehow we are Islamophic or racist against them. None of this is reported by the press; they go out of their way to ignore this, this would put a blanket on their claims. If you ask for proof of Palestinian sovereignty over the land, or worse, ask for historical evidence of these “Palestinians” you get attacked for daring to even ask the question. Before Israel was a nation, this is what the Arabs were saying, why is this omitted from the press? “The Prophet of Allah… says: ‘The Last Hour would not come until the Muslims fight against the Jews and the Muslims would kill them, and until the Jews would hide themselves behind a stone or a tree and a stone or a tree would say: Muslim or Servant of Allah, there is a Jew behind me; come and kill him…’” (Article 7); “They are behind the French Revolution, the Communist Revolution and most of the revolutions here and there which we have heard of and are hearing of. With wealth they formed secret organizations throughout the world to destroy societies and promote the Zionist cause; these organizations included the Freemasons, the Rotary and Lions clubs, and others… They are behind the First World War… They are behind the Second World War…” (Article 22); “the Zionist plan has no bounds, and after Palestine, they wish to expand from the Nile River to the Euphrates… such is their plan in the Protocols of the Learned Elders of Zion” (Article 32). The press ignores these genocidal calls, they try to paint the people in Gaza as victims, but they like Hezbollah are saying the same thing, why is none of this ever reported, why does the press refuse to expose this part to the rest of the world? It would change the perception of what is going on. We know the answer to this, the press, like the UN think that Israel’s creation was a mistake, so they move by trying to isolate what they think is a mistake, if they can turn enough world opinion against it, then they will not have the problem when such a move is made to exterminate the state. The fact that the Jews there would most likely be slaughtered that is none of their concern, only their hatred for Israel and the Jews. We need to demand that the truth be told, this hiding of the truth by the press is what leads to much hatred of Israel, the press is presenting them as the aggressors when in many cases they are only acting in self-defense. When you have a group that openly says they want all Jews to come to Israel so they will not have to chase them down to kill them, are you going to allow them to have the advanced weaponry to carry out what they are calling for? None of this is ever shown, in fact, it is hidden by the press, for it does not paint the right picture to the narrative they are trying to present, we need to start demanding that this narrative be more accurate and all facts are presented.